With BrickCon coming, I’m sure many are interested in creating vehicles for the Zombie Apocalypse display. If you like what we’ve featured in the past, you should check out Jordan Neves‘ article on how to make your own unique and original apocafied vehicle. 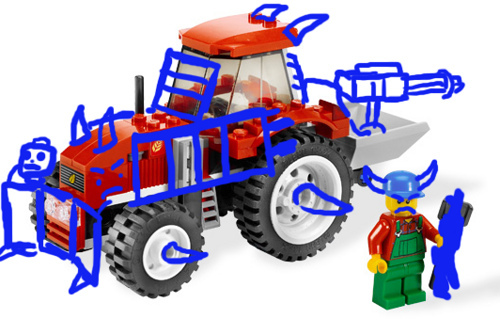 By the way, I recommend Jordan’s blog as a supplement to foster a well-rounded knowledge of the LEGO community. Great find. I laughed so hard I couldn’t type straight.